This little girl has a unique way of calling her kitties to come. She takes two straws and puts them together, making one giant straw. Next, she blows air through them, making a whistling sound. Her two cats come running at the whistle and instantly start meowing and rubbing against her legs. How cute is this! 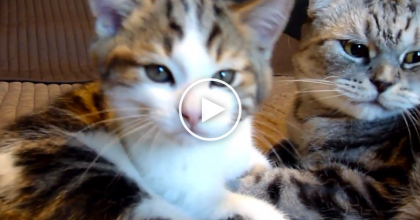 What a smart idea for any cat, too funny!—SHARE this video with your friends! 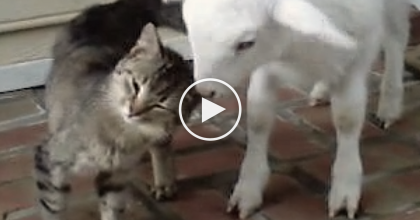 Baby Lamb Walks Up To Their Cat, So They Started Recording…The Results? Just WATCH And See!! 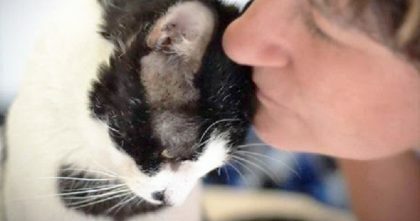 Women Noticed “Hopeless” Cat Rejected By Everyone, Then She Flew 500 Miles… AMAZING. 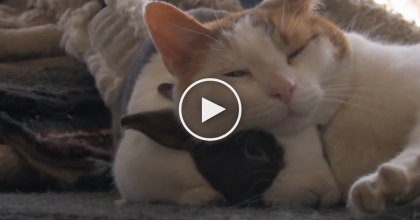 This Cute Kitty Has A Best Friend, But They Love Each other In The Sweetest Way… You’ll LOVE this! 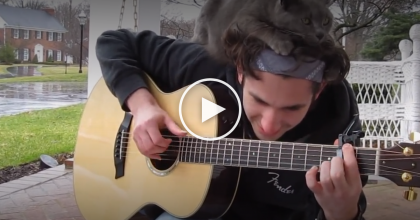 He Started Playing His Guitar, But How The Cat Reacts … Just Watch, This Is Very Sweet, AWW! !